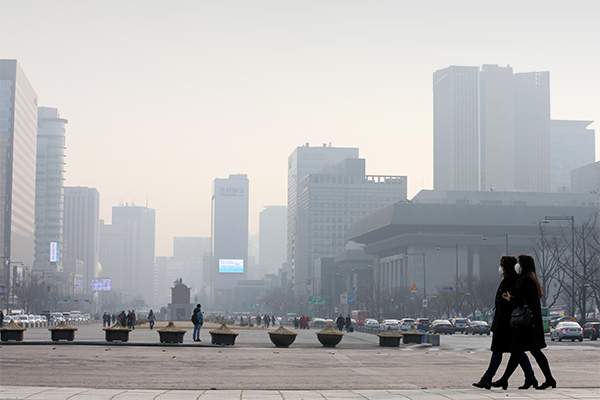 South Korea and China have agreed to set up a joint early warning system against the occurrence of fine dust, Seoul`s authorities said Thursday, as part of cross-border efforts to tackle air pollution. The two countries had a series of working-level talks on environmental issues earlier this week and agreed to report a concrete action plan to the trilateral talks among the environmental ministers of South Korea, China and Japan in the second half of this year. Under the early warning system first proposed by South Korea, the two sides will exchange information on air quality and relevant forecast technology to better respond to fine dust through rapid and precise forecasting, according to the foreign and environmental ministries. South Korea and China agreed to increase the number of dust measurement points from four to six in their joint project to identify the occurrence and pathway of fine dust. The joint project consisting of ground and aerial observation was commenced in May 2017. The two countries also agreed to cooperate in developing the multi-party North-East Asia Clean Air Partnership (NEACAP) into a consultative body where science and policy on air pollution are combined.